This morning, my mom and I left the house early to go see Einstein the World’s Smallest Stallion in Barnstead. They were having an open house. It was PACKED! They did not allow flash photography so my photos were not great. Also, little Einstein was sleeping and hard to get a good shot. 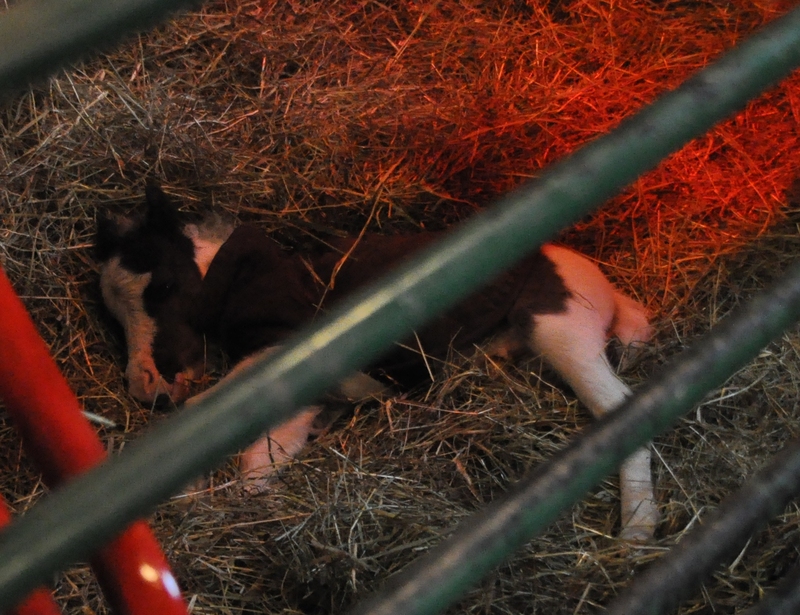 They had him in the barn in a stall with his mother. He was born 4/22/10 and weighed 6 lbs. and 14 inches high. He now is 14-15 lbs. He looked about the size of Molly 🙂 I wish we could have seen him running around the field. Unfortunately, it was a rainy cold day today.